In which dripping feels like the appropriate word. 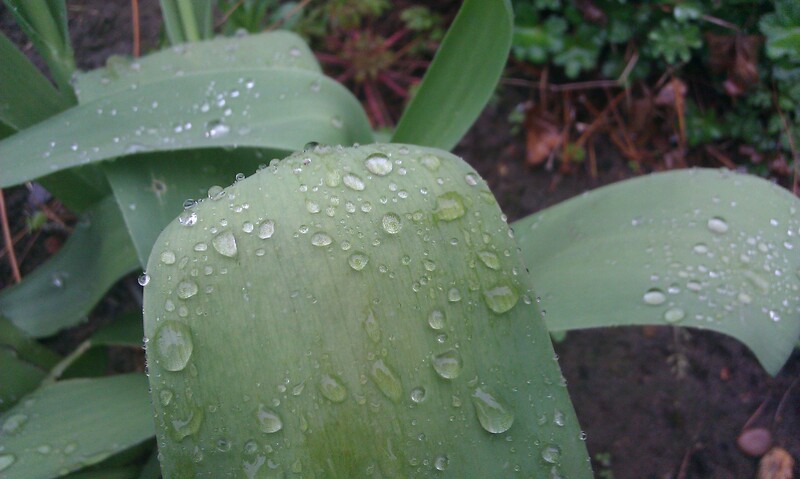 It’s raining here this morning. This is good news, as we’re in the official drought zone and hose pipes are a no-no, probably for the rest of the year, according to the man on the radio. The girls are back at school today. Unusual for the weather to take a nose dive when they go back – more often it’s the other way around. It feels quiet in the house now. I’ve done the chores and I’ll be sitting down to stitch once I’m finished here. Progress as such, has been very slow over the last couple of weeks. I always find it harder to get into the stitching when the girls are around, and anyway, there’s just too much going on. But I’m also feeling that tingly sensation that heralds the need to move on to something new. I think the sketch book might come out this week. Little droplets of inspiration flit across my brain and then are gone. I think it’s rather kind of those weather men to trigger lovely fat raindrops by threatening us with drought! 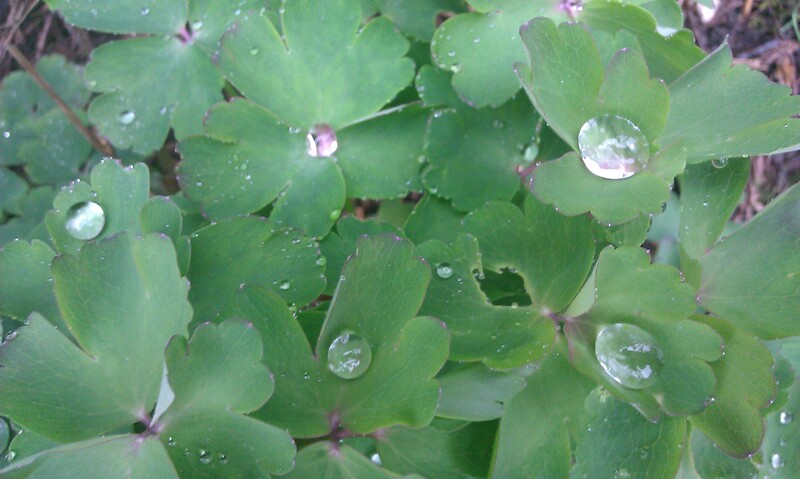 They look like pearls. I can remember Denis Howell in 1976 being made Minister for Drought (Rain) and the instant effect that had – makes you laugh doesn’t it. I just remember having water fights as school – very inappropriate for convent girls!! I have always found it more difficult to settle to any creative projects at this time of year too, there always seems to be that pull to be outside instead. 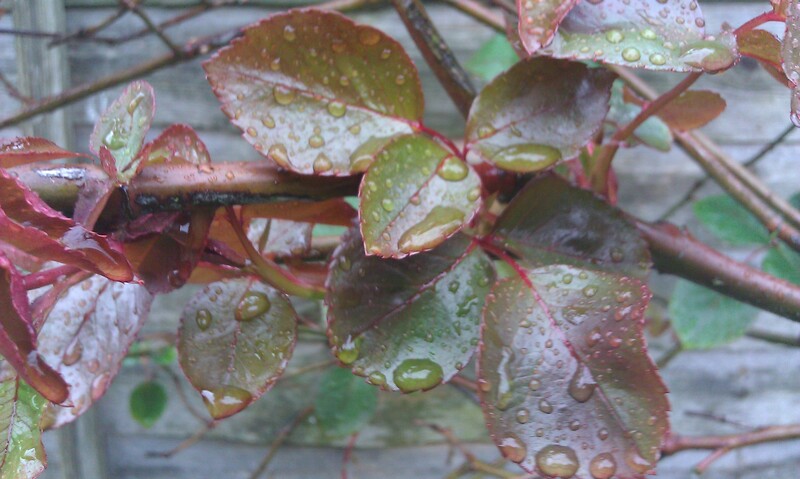 I love the way some plants hold onto raindrops, pretty pictures. Thank you. We’ve certainly had our fair share of rain too in the last few weeks.